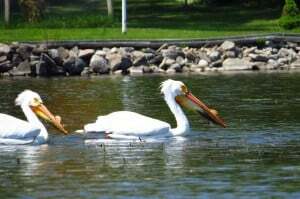 I had heard that there were two American White Pelicans spending time on Sturgeon Lake, north of Lindsay, so my daughter, Emma, and I spent a few hours looking for them on Saturday, May 23. We put the canoe in at Ken Reid Conservation Area and the pelicans were about half way between there and the mouth of the Lindsay River. They landed very close to us. I was told that they have been in the area for about two weeks. Emma was able to get some pictures before they left. Note: American White Pelicans nest in western Canada and the U.S. and only rarely turn up in Ontario. They winter in the southern U.S. and in Mexico. D.M. 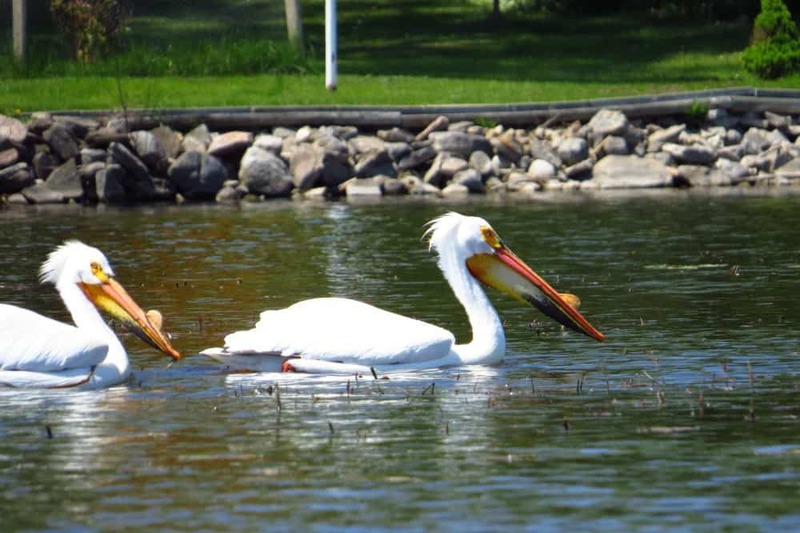 American White Pelicans – Emma Northey – May 23, 2015 – Sturgeon L.